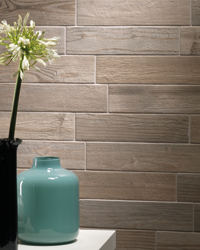 Tullia Italian porcelain brings the wood tile look to a new, exciting standard. 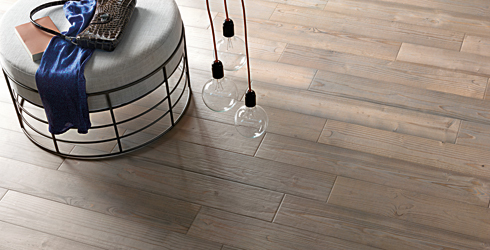 Combining traditional American pine wood screens with vibrant colors such as blues, greens and greys, Tullia is a premier, high-quality porcelain tile perfect for today's room. Available in two rectangular tile formats: 3.5" x 14" and 6" x 36", plus 3.5" x 14" trim. Accent with a stunning 3" porcelain hexagon or basketweave mosaic.